Our 330ml clear glass bottles are suitable for both still and carbonated drinks. They are perfect for juices, lemonade, home brew cider or anything else you may choose. 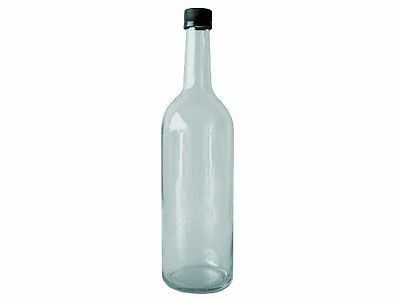 These bottles are very cost effective as they come complete with a tamper evident cap which can be applied by hand. Our glass bottles have been Pressure Tested up to 4bar for commercial purposes. Domestic recipes and making methods are difficult to control exact pressures and therefore we are unable to guarantee these bottles will not fail under such uncontrolled circumstances. You should monitor the condition during storage and release any excess pressure to avoid explosion. Recommended for single use once pressurised.